I introduced you to Gretchen and Brian early last fall with their maternity session. There was extra excitement with the upcoming arrival of identical twin girls. Then I received a text from Gretchen that I’ll never forget. I’ll let her tell you the story in her own words..
"On Wednesday, 10/24, our lives forever changed. By the late afternoon I was starting to be concerned about lack of movement from our baby girls. After work, I called my doctors office, and they asked me to go to Riverside for a heart rate check. 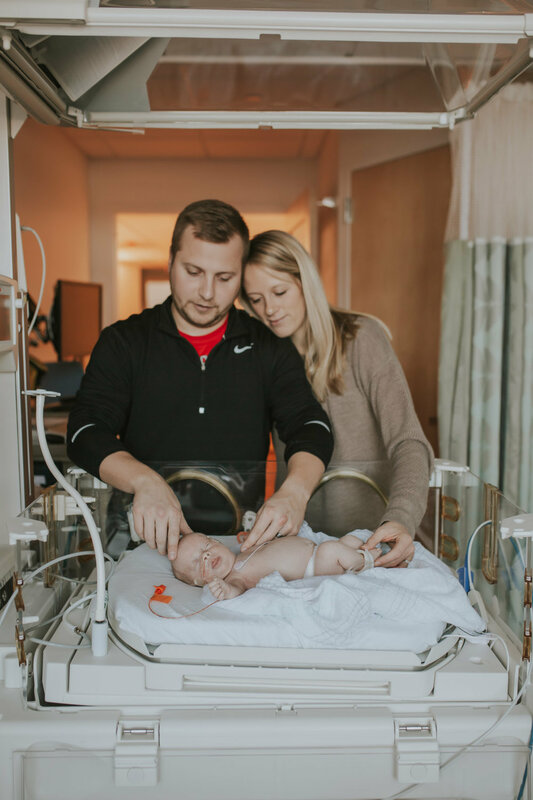 At Riverside, we received the most devastating news... Baby B’s little heart had stopped beating. They admitted me immediately for 24 hour monitoring of Baby A. After a few tests and meetings with doctors, we delivered both girls via scheduled cesarean. Rosalie Mae Mueller was born on Friday, 10/26/18 at 1:22 pm. She weighed 4 lbs 15 oz and was 17 inches long. We chose the middle name “Mae” in honor of her sister 💞. Her sister, Maisie Jan Mueller, was delivered shortly after. She was 3 lbs 13 oz and 16 3/4” long. She was beautiful, and now is our little guardian angel 👼🏼. We will miss her so very much!! Rosalie has already proving to be a strong little girl. 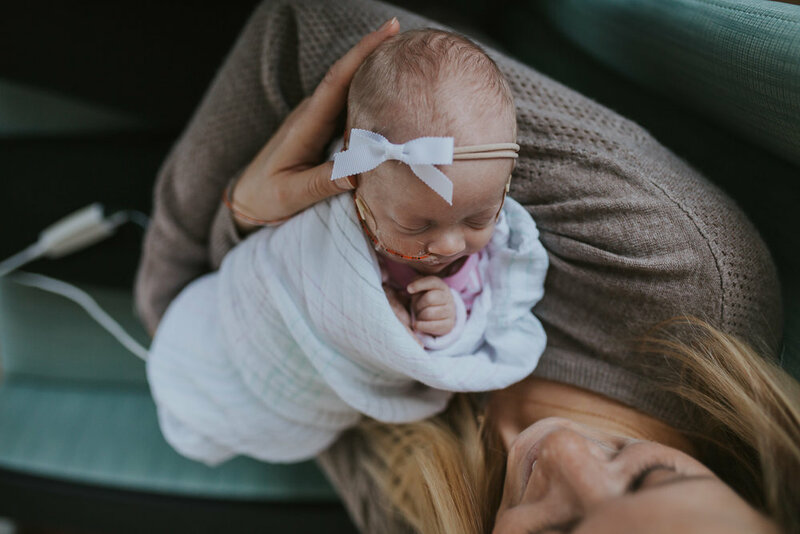 She is working through a few stability issues in the NICU that are related to her prematurity. We are grateful that she has been making slow and steady progress. In loving memory of Rosalie’s twin sister Maisie Jan Mueller. Soon I will be sharing Rosalie’s in-home Newborn session. The Mueller family is now home and doing well with Rosalie getting pudgier by the day. Her sister’s loss will not be a straight and easy road to recover from though. This article from the Americanpregnancy.org is a good place to start if you have suffered a stillbirth or know someone close to you who has. They can help you find a counselor to talk to as well.